Four UC Press publications were named finalists in the 2010 IACP Cookbook Awards, organized by the International Association of Culinary Professionals. The IACP Cookbook Awards, along with the James Beard Awards, is the most distinguished honor in the world of culinary publishing. In the category of Culinary History, two UC Press titles received nominations: Of Sugar and Snow: A History of Ice Cream Making by Jeri Quinzio and From Demon to Darling: A Legal History of Wine in America by Richard Mendelson. The Finest Wines of Champagne: A Guide to the Best Cuvées, Houses, and Growers by Michael Edwards is a finalist in the Wine, Beer and Spirits category. 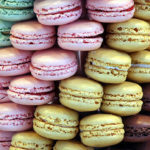 In addition to three book nominations, “The Macaron and Madame Blanchez,” an article by Cynthia Meyers originally published in Gastronomica, received a nomination in the Culinary Writing without Recipes category. In 2010, more than 500 entries were submitted for consideration in IACP’s 16 different book categories. UC Press was the only university press to receive a nomination this year. University of California Press, recognized and celebrated for our distinguished food and wine list, publisher of the California Studies in Food and Culture series and Gastronomica: The Journal of Food and Culture edited by Darra Goldstein, has been honored by IACP in years past. 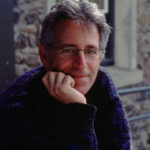 In 2008, Food: The History of Taste, edited by Paul Freedman, Professor of History at Yale University, won the top honor in the Food Reference category. Other honored books have include The Winemaker’s Dance: Exploring Terroir in the Napa Valley by Jonathan Swinchatt and David G. Howell, A History of Wine in America: From Prohibition to the Present by Thomas Pinney and The Georgian Feast by Darra Goldstein. The 2010 IACP Cookbook Award winners will be announced at the annual Gala Awards ceremony on April 22 in Portland, Oregon. More information is available on the IACP website.